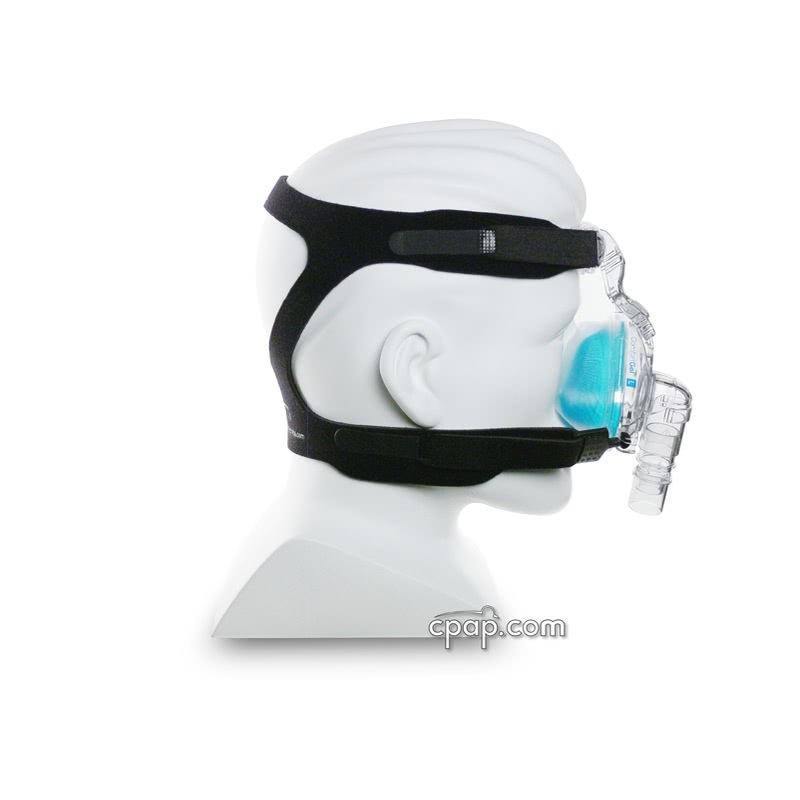 " The mask is very comfortable and seals to my face and does not leak. The seal is very important to me and this one does a great job. " " I have tried several diffrent mask and so far the comfort gel seems to be the best. It is pretty durable and last a long time. " The Original ComfortGel is the upgrade to the very popular Profile Lite Gel Mask. It has the same gel that can be boiled and custom fit to your face, but most people get a good fit from one of the four sizes without molding the gel. Broad Silicone Forehead Pad. Ever had a dent in your forehead? The ComfortGel forehead pad is larger than the Profile Lite to diffuse any pressure out over a larger area for more comfort. Adjustable Bridge Fit. Ever had a sore nose bridge? The ComfortGel can be adjusted outward at the bridge of the nose to help reduce pressure. Customizable Gel Cushion. The gel-filled cushion conforms around the nose and uses the SST flap to create a consistent seal all night. The gel technology allows for a greater variety in facial features such as facial hair. As an added benefit, the ComfortGel cushion can be boiled and molded for a custom fit. The boiling process softens the cushion and allows the gel to form around your unique face. For more information on the boiling process, click on the Customizing the ComfortGel Cushion Instructions. 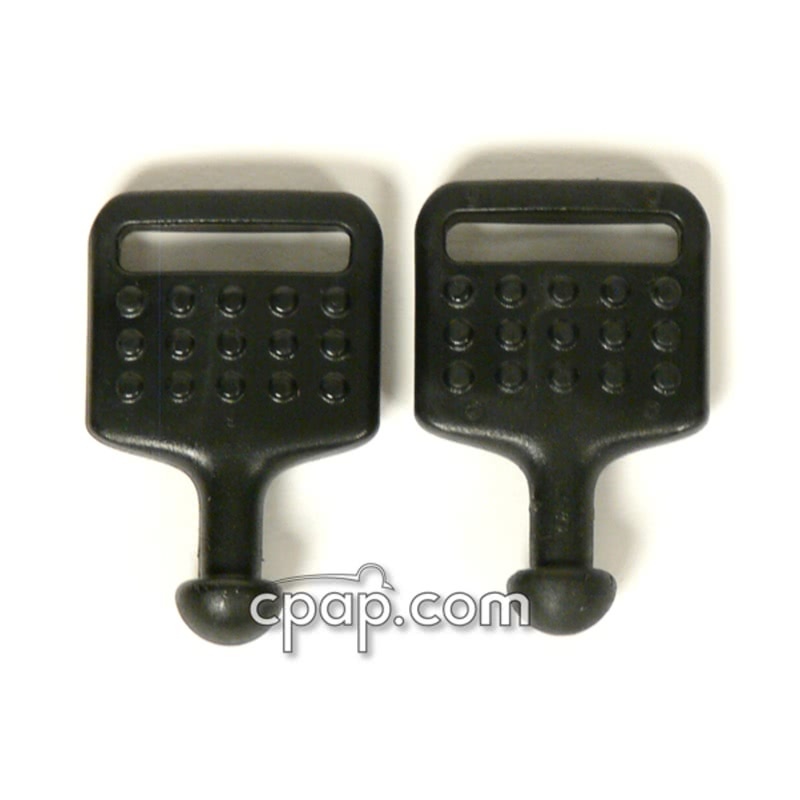 Ball-and-Socket Quick Clips. How many times do you have to get out of bed at night? 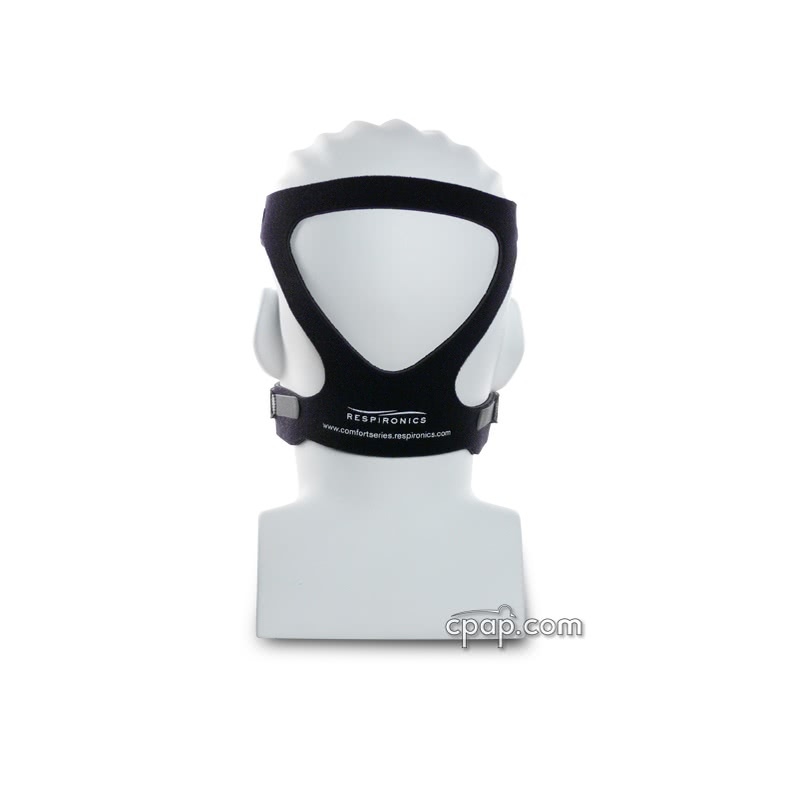 The clips allow easy removal and replacement of the mask without re-adjusting the straps. Latex Free. Just like all Respironics masks and headgear. The Comfort Gel mask is no longer manufactured with the Deluxe Headgear. Respironics has upgraded the headgear to the Premium Headgear with EZ Peel Tabs. Resistance Control is a numbering system on all new Respironics CPAP masks and based on variable resistance characteristics. Each number instructs the device to compensate for different mask types. The result is a consistent and reliable pressure, enhanced with all the benefits of Flex Technology, no matter which mask is used. You can find the Resistance Control number next to the size indicator on the SST FLap. The size of the frame, cushion, or flap is printed or embossed on each individual part. An example of the size indicator is a printed "L" meaning the replacement part is a size "Large." 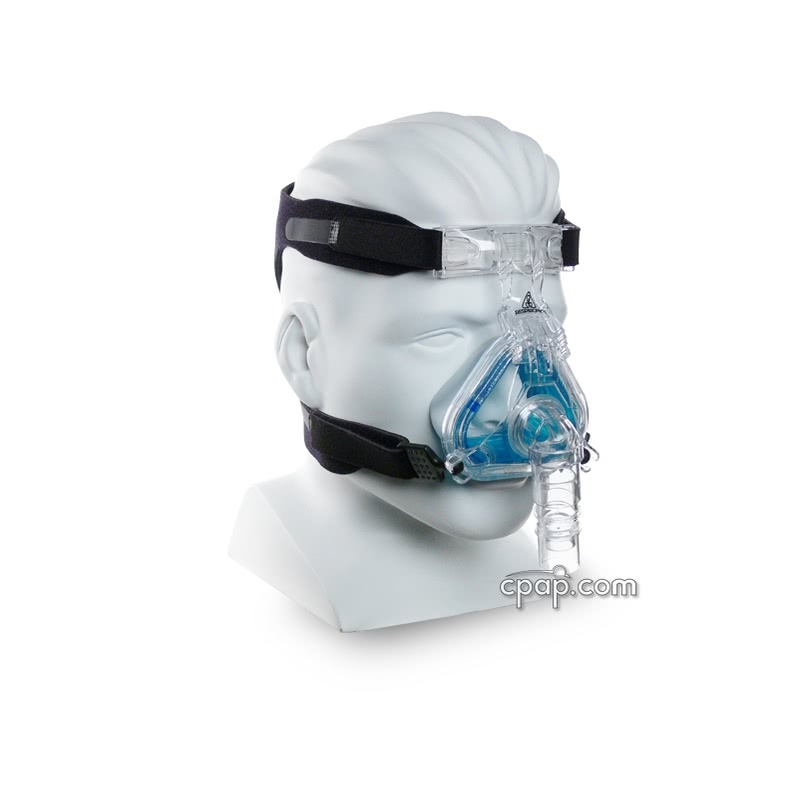 Use the number next to the Size for use with yout PR System One CPAP Machine. 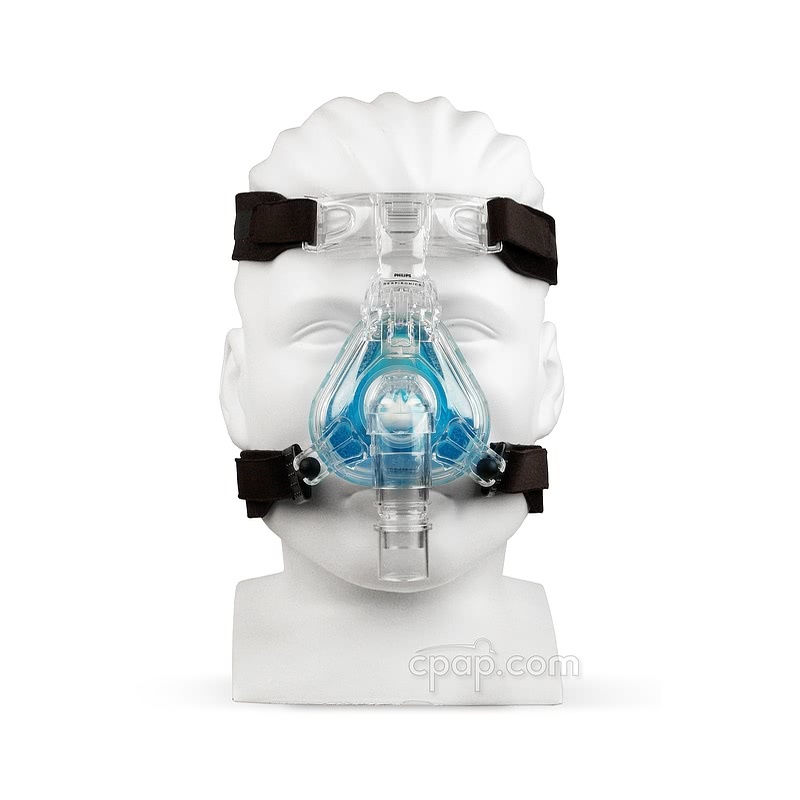 For help with deciding your size, download and print and cutout the ComfortGel Printable Sizing Gauge for this mask. For help with changing out the ComfortGel cushions or fitting directions, please review: ComfortGel Mask Instructions. 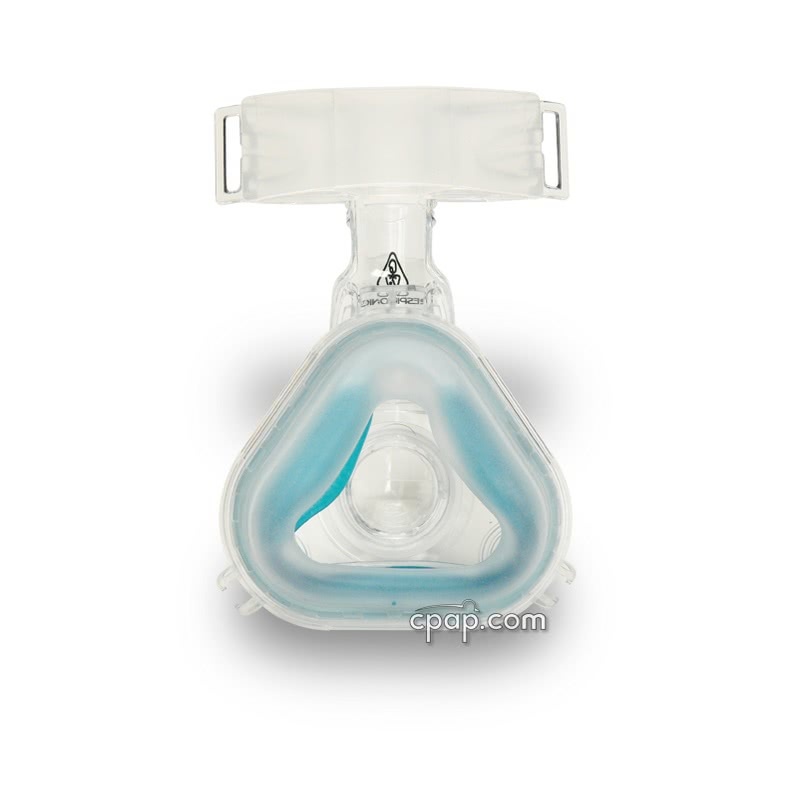 The size of the gel cushion and the SST flap is located on the bottom of the gel cushion, where the mask frame and nasal cushion connect. If the mask is a size small, medium, or large, the letter indicating the size of the mask will be black. If the cushion is petite, a blue letter will indicated the size of the cushion. If the user removes the gel cushion from the SST flap, the size will not be identifiable. The size of the gel cushion is not recorded, yet it directly corresponds to the size written on the silicone flap. ComfortGel and ComfortGel Blue mask frames and cushions are interchangeable, but the cushion and frame must be the same size. 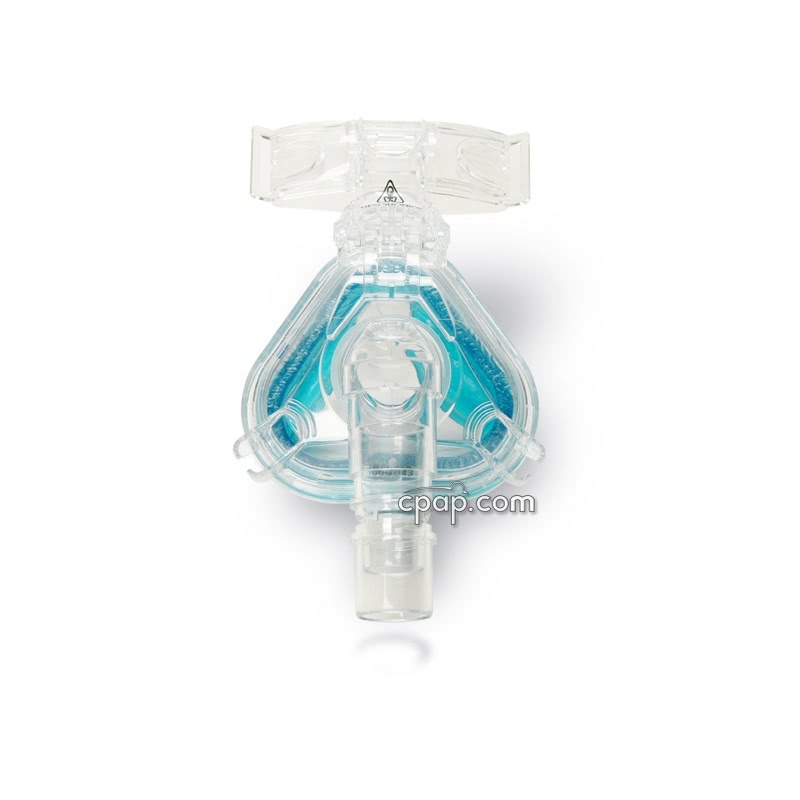 ComfortGel Blue Cushion for ComfortGel Nasal CPAP Masks will work with either mask. The same size silicone flap must be used to secure the gel cushion to the frame. The ComfortGel frame comes in three different sizes (see Replacing Mask Frames above) and is labeled with a letter and a part number, both designate mask size. When examining the front of the mask, the size is located on the left side of the frame and the part number is printed below the mask elbow. The ComfortGel cushion size is printed on the bottom, underneath the cushion body. The ComfortGel cushion flap is also labeled and the size and Resistance Control number is printed on the base side of the flap. 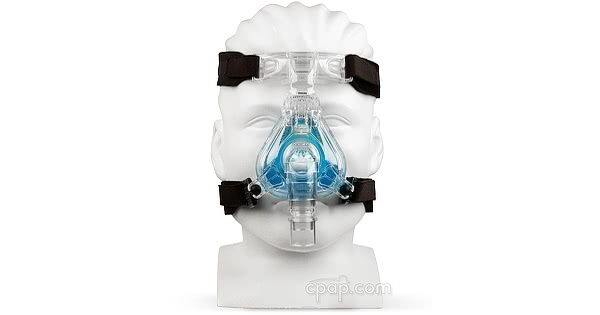 Are the ComfortGel nasal cushion sizes interchangeable on the mask frame?